This Monday morning the Fowler boys will start another year of homeschool and summer will officially be over! What a great summer it was too! Therefore, I thought instead of another boring “summer summary” that I would just share 10 Foto-Favorites that highlight the last few months! I hope you enjoy them. As always, please keep our family and ministry in your prayers! This was our last short-term team hosted before coming Stateside. (Faith Church – WI). We had a great time doing serving together with this youth group and praise God for the start of a great partnership. The “Most-Magical-Baseball-Day-Ever” is how we will remember this day! On Friday, June 29 our whole family plus cousins and Grandparents, finally all made it to Wrigley field to watch the Chicago Cubs play live Baseball at home! As we took our seats Eli said…”We are actually here! That place we always see on TV…We are actually here!” It was memorable for so many reasons but that was the first quote that made my smile! The second moment was when the Cubs Short Stop Addison Russel crushed a Grand Slam that brought the cubs back on top and set off a hitting spree that eventually buried the Twins! Just when we thought it couldn’t get any better! The game itself would have been more than enough but after the game our kids were all hoping for at least one signature from a cub player which absolutely everyone said was going to be next to impossible. Then finally Ben Zobrist (the 2016 World Series MVP and a Christian) came out of the dugout at the last possible second before we were all asked to leave…and signed all the kids hats and even a baseball of Ethan’s to seal this day in their memories forever! In July a youth group of Missionary Kid’s gathered in Kansas City for the bi-annual EFCA youth group event called “Challenge”. There were over 4000 kids from other youth ministries gathered at this event and it was unforgettable for our two oldest boys, Ethan and Ezra. While Eli had a great week with Grandma and Grandpa up north our older two had the chance to bond with kids from the USA, Turkey, Jordan, Germany, Haiti, Tanzania, Mexico, Cameroon, Thailand, Hungary, Czech Republic Russia, Romania and that was just in our little group. Counting Panama our little temporary youth group was comprised of 12 countries and it continues to be one of the biggest highlights for Ethan and Ezra of the entire summer. To them the world is so much smaller and personal than it was for Bianca and I growing up! Watching the bonding was a blessing to our hearts. Our kids connected so fast with this group and we are already looking forward to the next time! Later up north…my parents were waiting for us to finally visit their new house up in Northern Minnesota and we all made it there. It was great to see family all together and have some time to rest. We fished, kayaked, hiked and ate lots of great food. We thank the Lord for the chance we had to see them all. My sisters dog and my cousin’s baby also made a cameo appearance in this pic too! We were only in the USA for a month, during which time we traveled around the midwest. We were in Chicago, Kansas City, Northern Minnesota, Southern Minnesota and Wisconsin before we returned to Panama. When we got back, it was a sweet reunion and a joy to find our church and our missionaries doing well. We praise God for our church plant and our ReachGlobal Team! The Latin America/Caribbean ReachGlobal Conference in Costa Rica was our close to the summer travel. It only happens every other year but when we are together with all these missionaries from all over the region it is more encouraging than words can express. Together there are literally hundreds and perhaps thousands of years of missionary field experience and knowledge in one place. So many of these people are heroes to Bianca and I. We are honored to work with these people and now we have been with them for over six years. Please keep praying for our family and ministry. We stand on the shoulders of so many who came before us and we are only held up there by God’s power and grace and your prayers and support. Our desire is to join the Lord on His mission and obey him and the Great Commission (Matt. 28:18-20) from here in Panama and beyond. 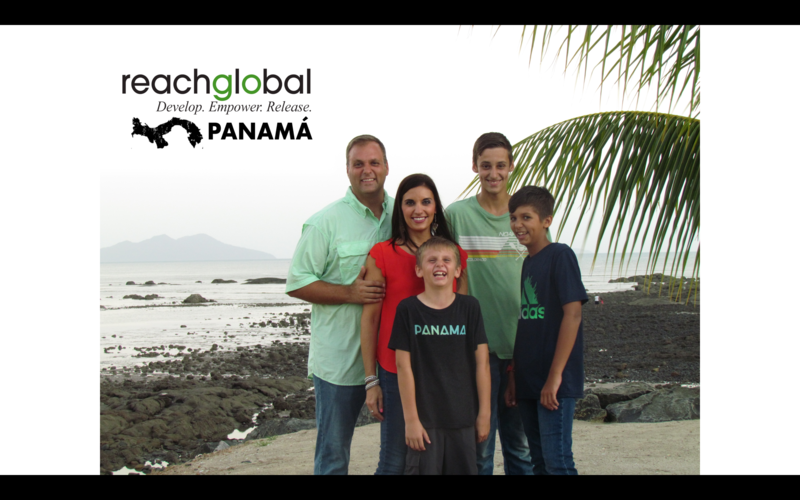 From Panama we seek to build up His Church and it’s leaders through every vehicle at our disposal. We work with orphanages, vulnerable children and churches from the city, to the jungle, to the suburbs and the country side. Our teammates are even helping to prepare Latino missionaries and we are hoping to keep building for many years to come. If you want to support us or become part of our partnership team please know that we welcome that and in fact at this time of year our support is down lower than normal. Please click the link here to start helping us now and pray for us as often as we come to mind. Thanks and God Bless for following the Fowler’s. Oh my word! This post was such a blessing to me for many reasons! First, it was so exciting to have met Sarah Kolaczynski the week before she left for Costa Rico! Knowing she wasn’t leaving until December… I was completely shocked to see her picture with you and Bianca. I fell in love with her heart for Christ and missions! Another thrill for me was the wonderful photos of your family and seeing your boys smiles, and how they’ve grown. Also seeing your Dad & Mom who I miss …even more than I thought I would! My heart has been tied to your heart for years now, because of working together with you John and with Bianca ( and her Mom Diane-😢) because of my little Yorkie! ( Sir Buttons). John and Bianca… thank you for your friendship over all these years and know you are loved and prayed for! Your letters really touch my heart. Love & Hugs Mary Ann Psalm 143:8 and Psalm 138:8 PS… I’ve been on the Perspectives Team and we’re just starting class at Waterdam Church! Praying for 75 people to join. May The Lord richly bless your work and families there with you.